Physically, be aware when you’re pushing too hard and back off accordingly. Conversely, know when you’re not pushing hard enough, and be ready to step it up. It’s a delicate balance for which different courses require different paces. Go out too strong on something like the 54-mile Manitou’s Revenge and you will have a long day in hell. 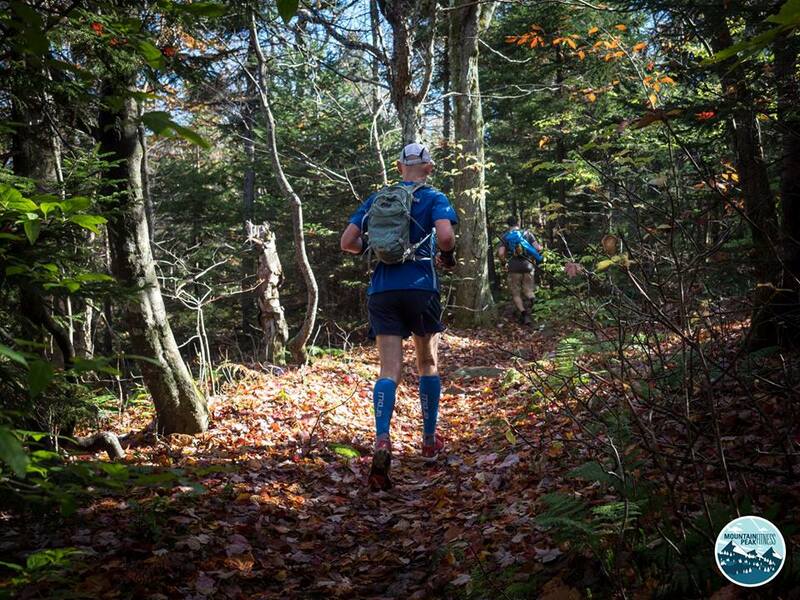 Go up Windham High Peak too easy at the start of the 30k Escarpment Trail Run and you may never regain those lost minutes. As a rule of thumb, for a long day in the park (e.g. Manitou’s), I like to keep myself just on the friendly side of pain; for a hard fast course like the Escarpment (and down), I see no choice but to run on the knife-edge of intensity the whole way through. Emotionally, let your body tell you what it wants to achieve. Earlier in 2017, my eyes on qualifying for the Boston Marathon again, I signed up for the Mohawk Hudson Marathon, in Albany in early October. But after Manitou’s in June and the Escarpment Trail Run at the end of July, I was exhausted. I took two-three weeks off anything but short maintenance runs, and as late August rolled around, I went to the UK, where I preferred the woods to the London traffic and socializing seemed more important than speed work. With the road marathon looming, I asked my coach for advice, and he put a 16-miler on my London weekend schedule, saying that if I could cover the last 4-5 miles at marathon pace I’d be good to compete. Somewhere between body weariness and limited time, I topped out at ten miles, and realized that putting in the necessary speed work for a Boston Qualifier time was not going to be possible in the few weeks we had left. More importantly, my heart was not in it: what I really wanted to do was to collect the set of long Catskills races and run the Cat’s Tail, a Trail Marathon that would be a slower pace, with more variety of terrain, and for which, with the other races behind me, I felt I was already well trained. I let the road marathon go, reluctantly eating the cost. The way I justified it is that I still have ten months to secure a BQ for 2019, whereas there is but one Cat’s Tail a year. I listened to my heart – and my whole being is happy that I did. Listening to my heart on the mid-section Cat’s Tail Trail Marathon, October 14 – six days after originally scheduled to run the Mohawk Hudson Marathon. Photo by the great people at Mountain Peak Fitness. Continue to Part 6: Feel the Pain!